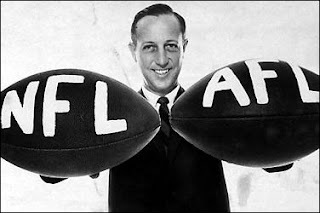 A while ago, I wrote about how the AFL wants to learn from the NFL – one of the most competitively balanced leagues in the world. I explained why the NFL is competitively balanced – how that was achieved – and told you I would come back to explaining how the AFL stacks up. Well, here is the explanation. Salary Cap. The AFL has a salary cap and may be considered a bit stricter, with a higher salary floor of 95% (cap is $9,130,000 and floor is $8,673,000). There are a few concessions, however, unlike the NFL’s cap. The AFL has granted Gold Coast and GWS slight exemptions since they are new clubs ($9,630,000 and $9,987,000, respectively). However, there are many things not included in total player payments such as veteran and rookie salaries. Yes, the NFL has a few concessions (very, very few), but the AFL’s are bigger. The NFL has the upper hand in this comparison. But remember: salary caps can’t maintain competitive balance alone. Reverse Order Draft. The AFL has a reverse order draft, just like the NFL. The difference is that there are additional drafts such as the rookie draft. There are also concessions such as the father-son rule that make it easier (or harder) for clubs to get certain players. Clubs are also given priority picks for consistently under-performing (that’s a hot mess – a topic for another day). The NFL has a better system here. Farming System. While the NFL has college football, the AFL has the NEAFL, SAANFL, WAAFL, VAFA… it’s madness. Just like the NFL, there are good and better leagues, teams and players and the system is organised for AFL scouts to be able to find players – there are hundreds to choose from at any level. But is it really that great? Unlike the college football system, the AFL’s farming system is inconsistent. Players move up and down grades very often and can range in age from 17 to 45 (sometimes older – you know the men I mean). It takes much more work to find the gems. And maybe it’s just me, but players are less publicised. Good or bad, I have to tell you – I have spent a significant amount of time trying to find the Sydney Swans reserves list and it’s nowhere to be found. While I’m sure scouts have access to this information… what if they don’t? Again, I’m giving the edge to the NFL. Star Player Factor. I am back and forth on this issue so I’d love input. A player cannot win game by himself. Gary Ablett and the Gold Coast Suns in 2012 (and Buddy Franklin and the Hawthorn Hawks) are proof of that. So I’d like to say that the AFL and NFL are on an even playing field here… but I’m not so sure. If you have a crappy team, no star player can fix it. But if you have a decent team? Then sure, I think a star player can dominate. I mean… Kieran Jack? Chris Judd? JJK? Gary Ablett in 2013? That player can go WILD and that can win games. I don’t know… What do you think? Free Agency. The AFL is trying to introduce this but it’s no where close to what the NFL has. As an economist I support free agency but as a sports fan, it hurts. I mean, you read my breakdown when Paul Pierce left me (boyfriend will say that he didn’t leave me, he left the Celtics but it feels like he left me so that’s what matters). The NFL obviously wins this one but I also think the AFL needs to find a way around free agency. It may even the playing field but fans hate it. I swear, EVERYONE I know says that they hope free agency doesn’t turn the AFL into the NRL and if it does, the AFL may have to fight to keep fans. Know your audience, Andrew Demetriou. Know your audience. Revenue Sharing. The AFL ended revenue sharing ages ago which means the NFL wins this one, too. Lots of clubs complained about revenue sharing (one guess which ones it was!) so the AFL dropped it. If you ask me… this is going to be the biggest factor/problem in improving competitively balance. It has to happen and the AFL needs to figure out a way to make it work. There you have it. That’s how the AFL stacks up: not good (well, I mean, the AFL is good – just not NFL good). And look at that – I didn’t even need to meet with a bunch of team owners to figure it out. Oh, the beauty of books and internet. I’ll take that job as AFL economist now, thank you. ← My Money’s On Jeremy Cameron For The Coleman.